Dedicated to the female perspective in film, “Instructions For Living” has all female writers, directors, and producers, shedding brighter light on the female perspective of love and loss. Sarah Heinss is a Director/Producer based out of Los Angeles. She has worked for many prestigious companies including Apple, Buzzfeed, YouTube and the OWN Network. The last feature she edited. "Life in Color," debuted at SXSW in 2015. After "Life is Color" had it’s World Premiere, Sarah wrote and directed the short film "Game Night," and quickly landed herself a job at Buzzfeed making viral internet videos. Sarah is excited about her launch back into the narrative world making her first feature length film. She also loves coffee, cats and lists. 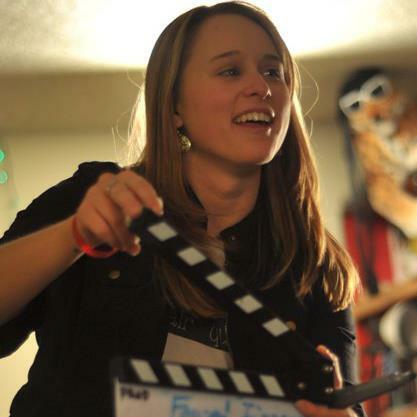 Born and raised in Denver, CO, Maggie Hart is an accomplished writer and producer. From award-winning short films to her five-year passion project, Impressions, Maggie loves crafting rich, comical stories about all types of relationships. Maggie currently lives in Los Angeles with several upcoming projects including Instructions for Living, and a hilarious web series, The Romantic Method. When she's not making stuff, Maggie loves making other stuff. Morgan Owens is a Minnesota based actress & improvisor. She has trained with Lesly Kahn, Margie Haber, Meisner Technique and the Second City Conservatory. Some of her credits include starring in the short film Game Night, Germaphobia, and a supporting role in the feature film Sophia. You may have also seen Morgan in viral Buzzfeed videos or starring opposite Rebecca Black in her web series for AwesomenessTV. Morgan is excited to announce that she just booked a gig on the Norwegian Gem Cruise Ship performing improv & sketch for Second City. Morgan is originally from Minnesota, and is not afraid to tell you she once reigned as the Hennepin County Dairy Princess.